Get lean, toned, fast and strong with our small group training classes at Arena Fitness. Each class has a MAXIMUM of 8 to 12 people and features fun and challenging Boxing, Sport, Metabolic & Core workouts. This isn’t CrossFit, folks. Our group training is for ALL LEVELS and provides safe, dynamic, full body workouts that will get you in ridiculously good shape. 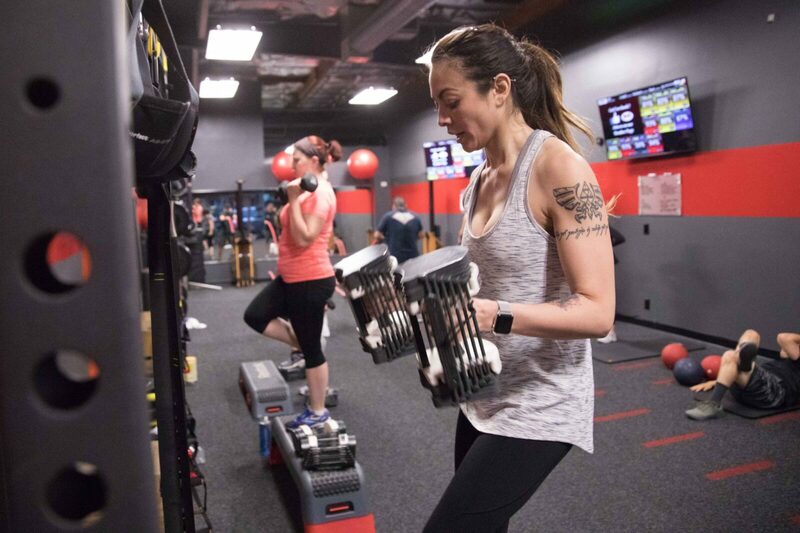 We combine HIIT (High Intensity Interval Training) with full body exercises and heart rate monitoring to maximize fat burning and keep you feeling great long after your workout ends. Don’t get lost in a large group class with 30 people in it! Experience group personal training at Arena Fitness and get the personal attention you need to get the results you want. All monthly memberships include FREE Nutrition Coaching! Click for Group Training Prices! SPORT CLASS: HIIT, battle ropes, slam balls, cardio intervals and a lot of sweat! TRIFECTA CLASS: A combination of Sport, Metabolic and Core for the ultimate full-body blast! CORE CLASS: Abs, glutes and cardio for a flat stomach and a toned midsection! "If I could give Arena 10 stars I would. If you're going to spend as much time at the gym as I do, you'd better: 1) like the workouts, 2) like your trainers, and 3) enjoy the clientele. Arena delivers on all points and more. Will and Phillip are fantastic motivators and really care about your fitness success. I've seen more results through their training and nutrition programs than ever before. This is truly my gym home." "Amazing place, amazing environment, incredible results. I came to Arena Fitness when I wanted to do my first Spartan Race several years ago and I never left! The mixture of training, community and mindset was exactly what I was looking for and it not only got me back on track with fitness, it carried over into my business and personal life. 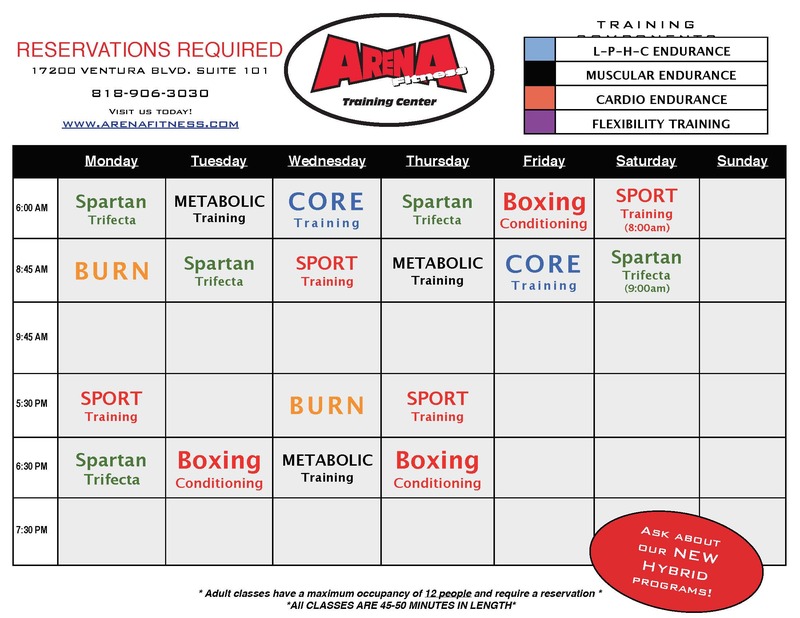 I highly recommend Arena Fitness, it changed my life!" 5, 10 and 20 class packages available.